The summer flew by and I had a great one musically. I’m happy that fall is on it’s way. I like the cooler weather. 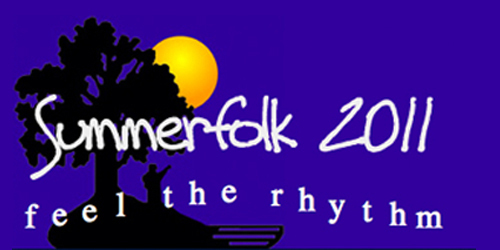 Playing at Summerfolk was a very memorable experience. I was wired the whole weekend and the week leading up to it as well. It was really exciting to share workshops and stages with amazing people. The volunteers, drivers, hospitality, instrument lock up, and hotel staff went above and beyond. We got through the weekend storms, making the most of every minute we had. It was amazing.. I have to give special recognition to Steve, the stage plot technician at the amphitheatre. I didn’t catch his last name. I was feeling pretty tense before my show on the main stage on Sunday evening and he was calm and easy to work with. I thanked him for that and he simply replied “Hey, it’s what I do”. He had a slight bleary look in his eyes and I thought he was simply tired. After my set, someone told me that Steve, a resident of Goderich, had had his house destroyed in the tornado. Fully aware of what had happened, he continued to stay at the festival and fulfill his duty. I can’t begin to guess what was going through his mind that day. I never had a chance to see him after and wish him my best. What a good soul. I’ll end this blog with a prayer for Steve and other affected residents of Goderich. You never know which way your luck is going to go.